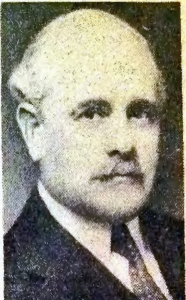 Sidney Goldstein was NCFR’s 5th president in 1945-46. He was born March 7, 1879 in Marshall TX, the eldest of six. He grew up in Chicago and worked his way through school as a garment cutter. He attended the University of Chicago and studied with John Dewey. He graduated from the University of Cincinnati and Hebrew Union College as a Rabbi. He devoted his life to community service and social justice issues. Along with Rabbi Stephen Wise, he founded the 1st Free Synagogue in New York City devoted to community social services. At the same time, he was Rabbi at the Reform Temple of Brooklyn where many innovative social programs were initiated. During the Great Depression, he was an activist and lobbied for civil rights and social justice. In addition to co-founding NCFR with Ernest Burgess and Paul Sayre, he also founded other entities: the Committee of Marriage, the Family & the Home, the New York Conference on Marriage & the Family, and also the Jewish Institute on the Family where he taught until his death in 1955. He was instrumental in sponsoring the 1st NCFR conference which took place in New York in 1938. He also contributed to the beginning of the state and regional affiliates of NCFR and in the publishing of the 1st journal, Living, which was a precursor to the Journal of Marriage and Family.